For the 10th year, O. Henry Middle School will be participating in the Cap 10K Middle School Challenge. The Cap 10K Middle School Challenge provides an excellent opportunity for the students and staff of O. Henry to enjoy the largest 10K in Texas, which takes place in downtown Austin on Sunday, April 7, 2019. In order to register go towww.cap10k.com and click on the ‘Register Now!’ link in the upper right corner. On the registration page click on the ‘Register Now!’ link which will lead you to the Eventdog.com registration page. Select ‘School Team Member’ from the registration options. When you fill in the participant information there is a section titled ‘Join a Team’ with a dropdown labeled ‘Team Name’, select O. Henry Mustangs from the list of teams, then complete the registration process. 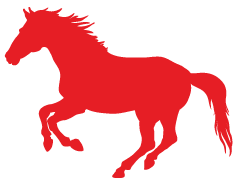 When filling in the bib name, we suggest putting the word ‘Mustangs’ to show your O. Henry pride! If you have any questions please email Mr. Brunner (travis.brunner@austinisd.org).